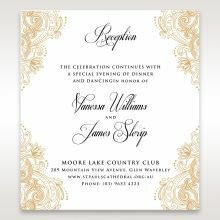 The much anticipated follow up of Vanessa William’s own invitation; this design is sure to impress with its luxurious accents. A Moroccan themed laser cut gate, beautifully wraps around the inner card which features a passionate shade of Marsala. 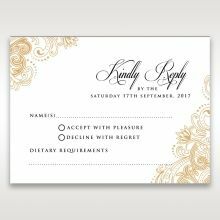 A foil stamped pattern frames the inner card where your weddings personal details will be printed in a sophisticated font. For the final touch, a golden lotus flower seals off the design for an eternity of love and luck. We received our sample and the first thing we thought was how amazing the quality was and what a beautiful design! 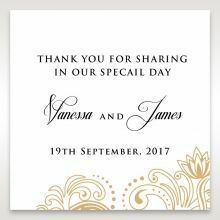 After speaking with the customer representatives regarding customisation options, it wasn't hard to choose this one as our wedding invitation. 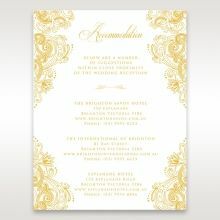 It really is a luxurious invitation and you cannot go wrong with white and gold! 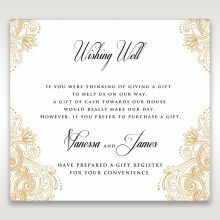 What a gem Giant Invitations is and we are so glad we found this site!! It is full of surprises opening up this stunning card. I admire the amazing details and neatness of the laser cut. The actual card is slightly bigger than I expected, looking very beautiful. It is nice and very easy to read the content inside with nicely selected font. 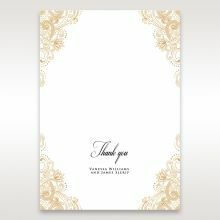 The flower in the middle area adds a little touch to complete this sweet elegant card. I would strongly recommend friends to order this card. We just received this product in the samples we ordered and the quality is amazing. The details are so beautiful, from the flower at the front to the gold foiling inside. 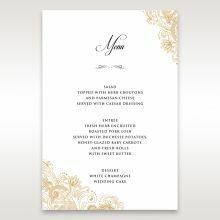 This is so luxurious, and goes perfectly with our theme of gold and white. 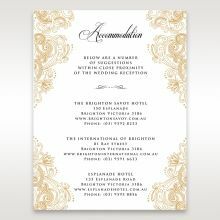 We have seen a couple of different invitations from different suppliers/companied, and feel that this one is the best value for money. We will be going ahead with this product and cannot wait for our guests to see it! I received my samples and all I can say is good quality and amazing laser cutting. 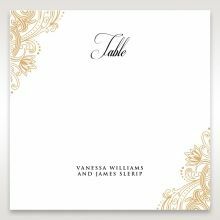 Its really beautiful and elegant and matches my wedding theme. I'm so glad that I came across the Giant Invitation website and found the invitation card I was looking for. Not to mention, excellent customer service. The representatives were very helpful and patience and responds fast. Thank you for the amazing designs and quality. 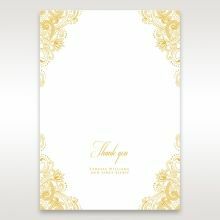 We recently held our wedding and still had comments on how beautiful our wedding invitations were (to go along with the many previously received!). Such an impressive invitation that I'm sure many of our guests will keep for years to come. Thank you so much for supplying such a beautiful product and setting the scene for our wedding... Also appreciate the responsiveness of your designers in getting through the review process effortlessly and delivery was so fast! We will definately be ordering from Giant Invitations again for any special occasions. We received our wedding invitations recently and we cannot praise the team of Giant Invitations enough. These are the most extraordinary invitations we have ever come across. Everything from the text to the laser cut printing was perfect. 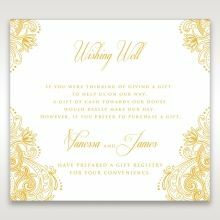 Our expectations have been exceeded and we are beyond happy with our invitations. The customer service was also outstanding. We got updated the entire way through and never had to wonder or worry about anything. We highly recommend Giant Invitations . Thank you guys! 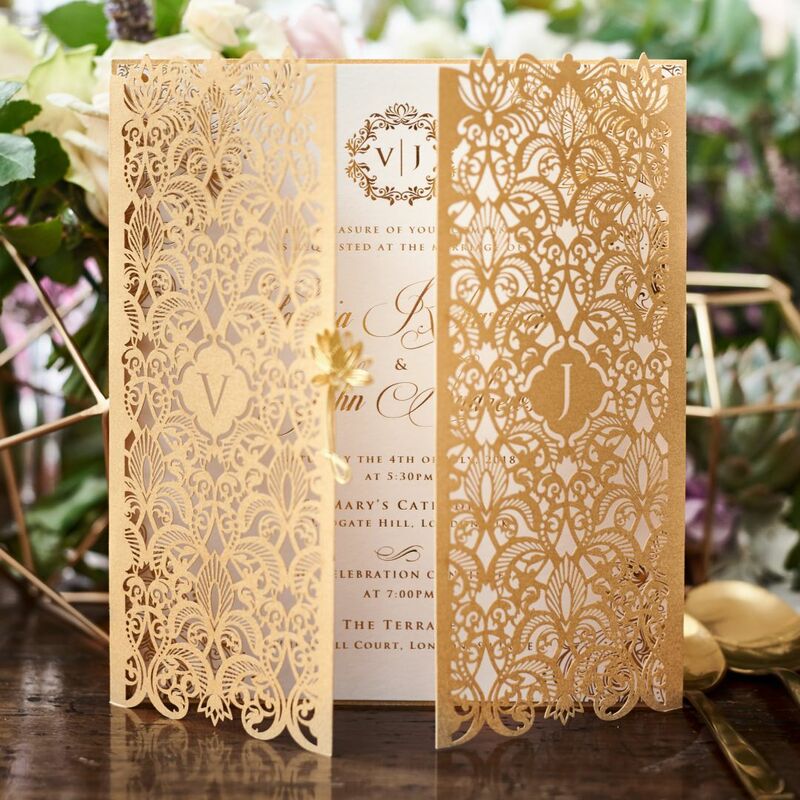 This is a great laser cut invitation. It has an elegant and classy feel to it. 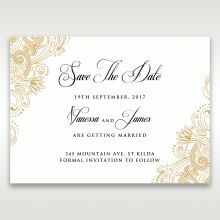 They also create the same invite in Rose Gold which is absolutely amazing. 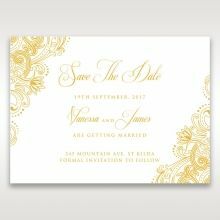 This invite definitely has a wow factor to it. At the start I thought I would never find something so special and perfect to our liking. This has made us so happy. 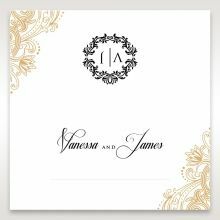 I have received a sample of this invitation and will be choosing this for our wedding invitations. 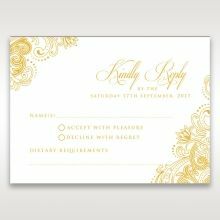 They are a luxurious invitation with that definite wow factor. 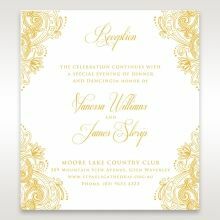 The laser cut and gold foil print really make this premium invitation stand out from anything else that I have seen. The Marsala colour is subtle yet makes a bold statement combined with the golden accents it is just stunning. This is just such a stand out invitation!